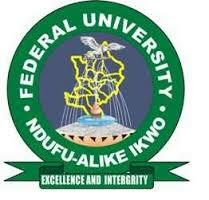 Federal University Ndufu-Alike Ikwo (FUNAI) Hostel Accommodation Allocation Lists for Returning Students, 2018/2019 Academic Session Uploaded Online - Download FUNAI Hostel Allottees List in PDF for Returning Students. This is to inform all the returning students of the Federal University Ndufu-Alike Ikwo (FUNAI) that applied for hostel accommodation that the management of the institution has published the lists of students granted hostel accommodation for 2018/2019 academic session. All those allotted bed spaces are advised to conclude their registration and check into the hostels as soon as possible.